New bus routes travelling to and from DCU are now providing another transport alternative for staff and students commuting to the university. Both privately and publicly operated bus routes confirmed routes to serve 14 major towns in the commuter belt region including: Drogheda, Skerries, Dundalk, Rush, Lusk, Swords, Naas, Newbridge, Trim, Lucan, Dunshaughlin, Navan, Ashbourne and Ratoath. 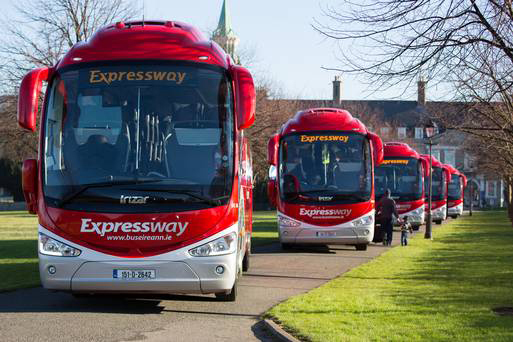 Bus Éireann began two new direct routes to DCU, Glasnevin campus on September 12. The first departs from Trim and includes stops in Dunshaughlin, Ratoath and Ashbourne. The second is a direct route from Navan to DCU. Both routes can be viewed on the Bus Éireann website under the 109A timetable. Matthew Coaches began a route on September 19 with direct service from Dundalk/Drogheda to DCU. The service departs at 7.15am, arriving to DCU Glasnevin campus at 8.30am. The return service departs at 5.15pm. JJ Kavanaghs also began two new routes this month to serve DCU students and staff. The first travels to both the St. Patrick’s College and Glasnevin campuses with stops in Newbridge, Naas and Lucan. The second travels to the DCU Glasnevin campus from Skerries/Rush/Lusk/Swords with departure times at 7.30am and 9.30am. Return services depart DCU at 2.10pm and 5.00pm. Msc in Multimedia student Darragh McGowan from Skerries said the new services are a positive addition to travel options for commuters, however acknowledging that the specific departure times can be inconvenient. “It’s convenient for someone who is in nine to five everyday, but if I have to wait hours to catch the departure home, I’d just take the bus even if it is longer. “The new routes will be helpful for longer days and during bus strikes.” said McGowan.